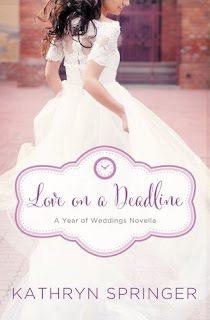 MacKenzie thought writing wedding stories was beneath her journalistic abilities. Until one love story rekindled an old flame and opened her heart to love once more. MacKenzie “Mac” Davis left her hometown of Red Leaf, Wisconsin, ten years ago, and she never looked back. But when her father, beloved Coach Davis, suffers a mild heart attack, she returns home for an extended visit. It means taking a job at the local newspaper, where the biggest news story is the return of Hollis Channing to marry her celebrity fiancé, but Mac would do anything to make sure her dad takes care of himself. She just didn’t know that would include spending extended time with her high school crush, Ethan Channing, brother of the bride and the boy who broke her heart. When Ethan Channing offered to help his sister plan her fast wedding, he had no idea what a big production it would be. Nor what a dilapidated state their old family home would be in. But when he catches Mac trying to take pictures of the house for an article she’s writing, he ropes her in to helping him. It’s hard to believe the tomboy coach’s daughter he remembers from high school has turned into this beautiful fire ball of a woman. And he has to admit he doesn’t mind needing her help in planning the wedding of a lifetime. It’s been ten years since they’ve seen each other. And ten years is a long time. But is it long enough to repair broken hearts and turn old high school crushes into love? My thoughts: I love these weddings of the years novellas and this is one of the best ones this year. I enjoyed getting to know Mac and Ethan and having Mac get to know her high school crush all over again. I also loved how Ethan's sister, Hollis, changed from the mean rich girl that made fun of Mac to a sweetheart who had a lot of love and courage. LOVE ON A DEADLINE only took a few hours to read, and it was a satisfying read from start to finish. So many novellas feel unfinished, but this one didn't. Plus the characters had enough depth they became "real". If you like contemporary romances, then pick up a copy of LOVE ON A DEADLINE. You'll be glad you did. I got this book from Booklook Bloggers for my honest opinion. Bo Monahan isn't interested in the new romantic destination his little town has become---or the women who might be looking at him like he's their next Mr. Right. Between taking care of his Pops and his growing stirrup business, he isn't looking for serious romantic commitments. But unexpectedly the young child he never knew about appears on his doorstep and Bo's world is turned upside down. This confirmed bachelor might not need a wife, but he sure needs a woman . . . and newcomer Abby Knightly is definitely a woman. When she comes to his rescue to help him navigate fatherhood, he slowly uncovers her own history. And suddenly Bo's thinking maybe, just maybe, together they can help each other work through the problems of the past to create a future of their own. My thoughts: I was looking forward to this book since I read the first in the series, Betting on Hope. Unfortunately, COUNTING ON A COWBOY didn't live up to the promises made by the first book in the series. It starts slow - with the heroine falling asleep, but even the immediately following accident involving a steer doesn't jack up the tension. It's just flat. These characters were undeveloped and I couldn't make myself care for them. It also seemed that the author got bored with it herself and decided to throw a baby into the mix. But she also seemed uncertain what age the baby should be. He's standing in a playpen when he's introduced, then he's referred to as a newborn or an infant, then it's a toddler, then they are putting him in a baby swing (which is for up to 3 months of age) then he is about a year old... Really? Maybe a little consistency would be nice. There is also no faith message that I can see. Abby goes to church once. Bo, never. 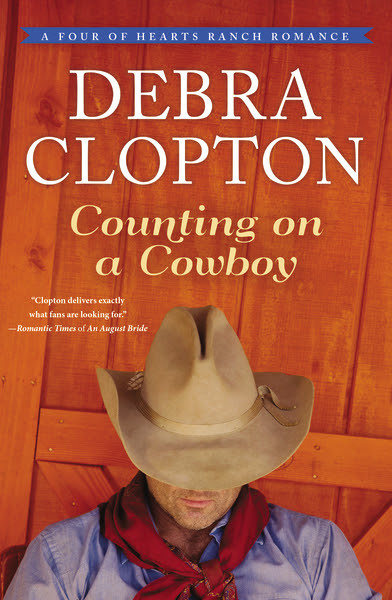 If you love cowboy romances, southern fiction, or are a fan of Debra Clopton, then you might love COUNTING ON A COWBOY. It is set deep in the heart of Texas, with cowboys, small town appeal, and real quirkiness of some of the secondary characters who were introduced in the first book. I am looking forward to reading the third book in the series. Ms. Clopton's cowboy romances are usually fun and quirky, books that hold my attention all the way through. I loved this book. 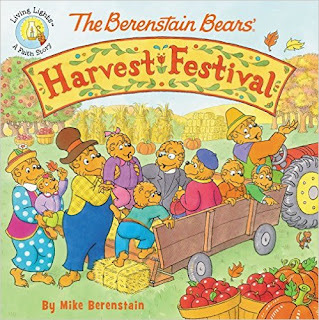 It was interesting and I loved reading about going to the Berenstain Bears' Harvest Festival. 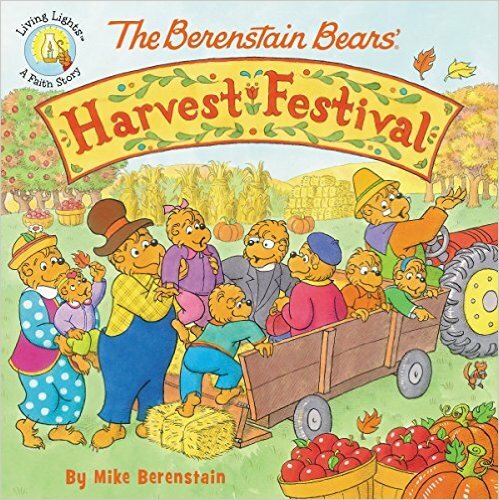 They got to pick bushels of apples, pick out their perfect pumpkins, go on a hayride, and enjoy God's bounty. It also teaches that it isn't Mother Nature that's in charge of Autumn weather and the harvest, but it's God, so we need to give thanks to him. Discuss questions and activities are included. 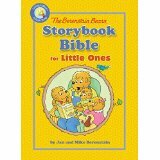 A great sturdy storybook Bible for toddlers! It is also available in e-book. It includes the story of creation, Noah's ark, David and Goliath, Daniel in the lions den, the birth of Jesus, the Good Samaritan, and other stories told in simple to understand language. Great for nurseries to read to the babies for a short Bible lesson or to read as devotions for toddlers. The Bible characters are drawn as bears. Really cute. But a bit simple for 8 year olds. I think its meant for younger children. 3 stars for older children, 5 stars for babies. Average 4 stars. The Miller family's move from Ohio to Montana was, for the most part, uneventful, except that Sadie Miller had to leave her beloved horse, the palomino named Paris. Still, she likes the Montana snows and her job at Aspen East Ranch serving the ranch hands. Unexpectedly, Ezra appears, the man who seems to be perfect in every way and fully intends to marry Sadie. But does she love him back? And who is this fascinating Mark who helps to rescue a dying horse and shows up at the Amish hymn-sing though he is English? Why can't she get his dark eyes and tall stature out of her mind? Now Sadie's own close-knit family is falling apart. Mam claims her head is cluttered and unclear, and she no longer trusts herself to make a chocolate cake from scratch or to cut Reuben's hair in a straight line. The worst part is, Dat refuses to acknowledge Mam's struggles. Sadie finds some refuge in Nevaeh, a black and white paint. But when a dreadful accident involving wild horses occurs, Sadie must move forward into the unknown future. Will Dat let Mam seek professional help? Will Mam be willing to go? Will Mark be at the next hymn-sing? Is he Amish or English? Will he like her favorite pink dress? Will she see the wild horses again? Why do these phantom-like animals take her breath away every time they appear on the horizon? 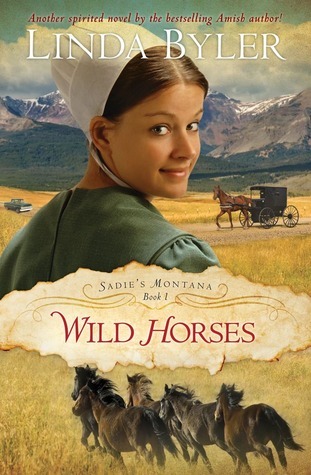 WILD HORSES is the first book in Ms. Byler's series Sadie's Montana. It's been out awhile, but I'm filling in blank dates with old books I haven't had time to read. Ms. Byler, I think is published mainly because she is Amish. The story idea is good, the tension high, but it would've been so much better if she wasn't in everyone's head at the same time, if she wouldn't tell us stuff before it happened, and if she were consistent. The one horse went from male to female to male back to female and back to male. The author used wrong names for some of the characters. She uses one name for I think, Sadie. If it wasn't Sadie, then a random person appeared once in the story for one three word sentence, then disappeared. Okay, the writing is not good. But the story was. I totally enjoyed getting immersed in a story set in Montana involving Amish and wild horses. 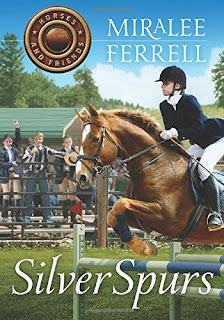 Silver Spurs is a tale of overcoming fears and trusting God with your dreams. SILVER SPURS is a semi-good book. I didn't like parts in the book where she didn't think it was fair when other people got what she wanted. And one of the parts I really didn't like, was where she got jealous because her way of thinking showed that she wanted the girl to get hurt. Other than that it was a good book. I especially liked that the girl that she thought was mean was actually nice to her little brother who was autistic and she did what he wanted and treated him really gently. I really liked those parts. This book is on special at Amazon today, for $11.95 - instead of $16.95. 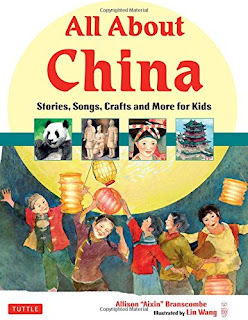 All about China is available in hard cover and e-book form, so however you want to read, it’s in your format. 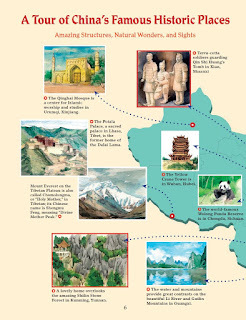 It is a collection of cool pictures, and an encyclopedia of information about China. 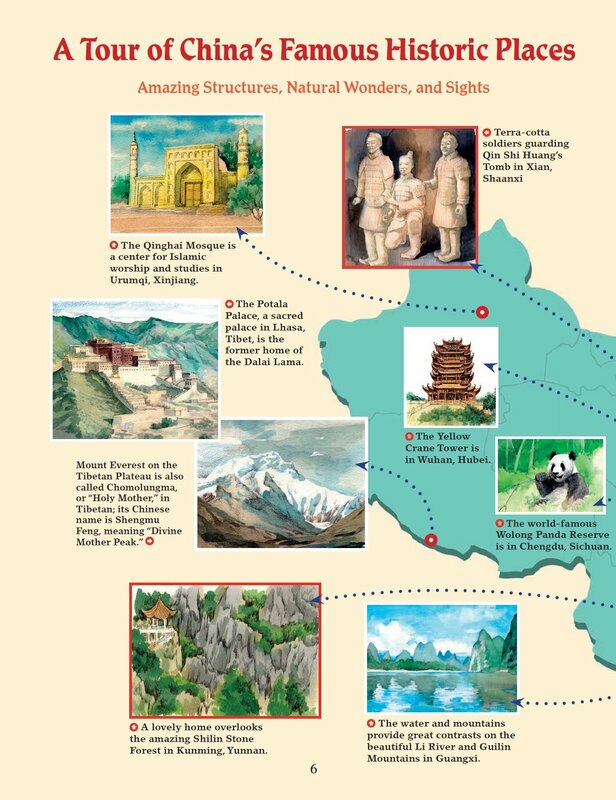 All about China isn’t a real deep guide about China. It does scratch the surface for the younger age. If you are Christian, and want to teach a Christian world view, you will need to supplement or “correct”, as the story of creation in this book is not biblical. The gods and goddesses and religions included in this book do not touch on Christian missionaries or Chinese Christians who are suffering for their faith. Otherwise, this was an interesting book that taught a lot of interesting information about this country, some of which I never knew or realized. Scripture Memory Songs is a cd or MP3 download geared toward teaching children ages 8 – 12 years old memory verses, using the NIV Bible, complete with references. 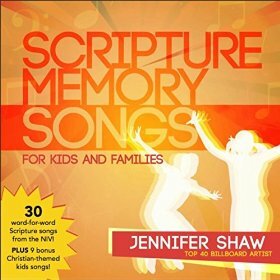 In Scripture Memory Songs Ms. Jennifer Shaw has expertly divided portions of the Bible up by topics, such as “Show Down!” and “Lights, Camera, Action” and found verses suitable for each topic. Bible memorization is an important skill that most Christians don’t utilize. According to Ms. Shaw’s press release included with the CD, scripture illiteracy is at an all time high, with most people unable to even name five of the ten commandments. Since we will be entering (at some point in our lives) a time when Bibles are forbidden, and even now with them available there are times we need to “hear God’s voice”, it is important for children (and adults) to memorize Bible verses. Scripture Memory Songs engages children with catchy tunes. I like that the references are included, and I like that the lyrics (and verses) for each song are also included as the singers don’t enunciate each song very clearly, and sometimes the words are hard to understand. My ten year old (who is in the targeted age group for this album) loved it. However, Ms. Shaw also says she hopes that adults will listen and learn along with the children. In my family, at least, the general adult consensus was, “Okay, that was weird” referring to the introductory songs to each section. And we had issues with the John 3:16 song—it says “God’s one and only son” when the words are “only begotten son” and that word change makes a world of difference in other scripture verses that refer to us all becoming joint heirs, adopted children of God, etc. If you want to teach your children Bible memory verses using the NIV, then Scripture Memory Songs is an invaluable resource. Somewhat recommended with the above exceptions. My thoughts: I loved this story. Betsy St. Armant has made a name for herself with sweet contemporary romance and is quickly rising to the top of my favorite contemporary authors list. I enjoyed getting to know Will and Charlotte and their histories, and their love story as they get to know each other. I totally understand Charlotte's reservations -- and Will's nice guy personality which doesn't make saying "no" easy. I almost wish I was there for the wedding cake tasting decision, some of the flavors sounded yummy! I just had a plain old vanilla cake. I love these novella collection Zondervan has started putting out - and hope they continue them into a new year. I have my favorites and this one heads to the top ten listing of favorites for the two years they've been out. 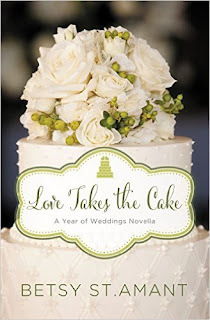 If you love contemporary romance, don't miss LOVE TAKES THE CAKE. Dallas/Ft. Worth, TX—Anyone who has lived through adolescence can testify that it is a difficult time. As they navigate the waters of our post-Christian society, today’s young people suffer from unprecedented levels of depression, anxiety, pressure, loneliness, and desperation for approval. For many, one nagging question motivates every social media post, short-sighted decision, and attempt to self-harm. Does anyone really care about me? At JesusCares.com, hurting teens and young adults from across the globe find comfort, guidance, and the answers they desperately seek. An initiative of Groundwire, JesusCares.com follows and expands the remarkably effective model that has touched millions of young viewers and listeners since 2006. Using a multi-pronged strategy, Groundwire leverages media and technology to meet the age 15-25 demographic exactly where they are — viewing, listening, texting, or chatting — and to invite them to voice their questions and struggles, so they can find answers in the message of the Gospel. Young people listening to popular radio broadcasts or viewing favorite shows on networks like CW, MTV, VH1, Cartoon Network’s Adult Swim programming, and Comedy Central are interrupted by direct advertising spots that catch their attention, resonating with where they are today. The initiative includes targeted, authentic, and well-produced commercials that grab the attention of young viewers and listeners by the millions. As they respond to the broadcast messages, they are invited to visit the JesusCares.com website where they can chat with a live spiritual coach available day and night, as well as find a collection of resources such as podcasts by Groundwire’s founder and executive director, Sean Dunn, and daily devotionals. Watch "When the Silence is Overwhelming"
“Statistics indicate that 86% of teens believe in God, but most don’t believe He is loving. Even fewer believe they are lovable. What if this generation truly understood and responded to God’s offer of hope, truth, and purpose?” Dunn asks. Since 2006, Groundwire has interacted with broken and searching youth on thousands of live chats. Students are drawn to the honest dialogue about spiritual issues, often receiving Christ as their Savior as a result of the coaches’ ministry. Coaches then do their best to connect visitors to local churches and resources where they can continue to grow in their faith. JesusCares.com looks to grow Groundwire’s reach in contemporary culture. Hundreds of volunteers from around the world form a team that offers coaching 24 hours a day, and that number must increase alongside launches of the ministry in new locations. JesusCares.com is seeking coaches of all ages and backgrounds to be available when young seekers respond to the TV and radio ads—coaches like Sue. A resident of Northern California, Sue spends her days caring for her husband, who has Parkinson’s Disease, and her mother, who suffers from dementia. Neither can be left alone, so she spends only three hours a week away from the house. Sue is in her mid-60’s. Essentially, she is homebound, yet since she began coaching through JesusCares.com in June of 2014, she has led 66 young people to Christ. Interview with Carla Laureano and GIVEAWAY!!! Adventures in Odyssey August Special! Q & A with Carrie Stuart Parks and GIVEAWAY!!!! Adventures in Odyssey Special Offer!